Hifi’s Pop-up Fashion Incubator at Ala Moana Center opens tonight! 10 days of fashion events, classes, workshops, and shopping local designers. Come out and see what HI fashion is made of. Pre-register for workshops and classes at www.hawaiifashion.org/pop-up-calendar. I hope to see you tonight at Pecha Kucha. You may not know that, in addition to writing about fashion, I do fashion-related art. 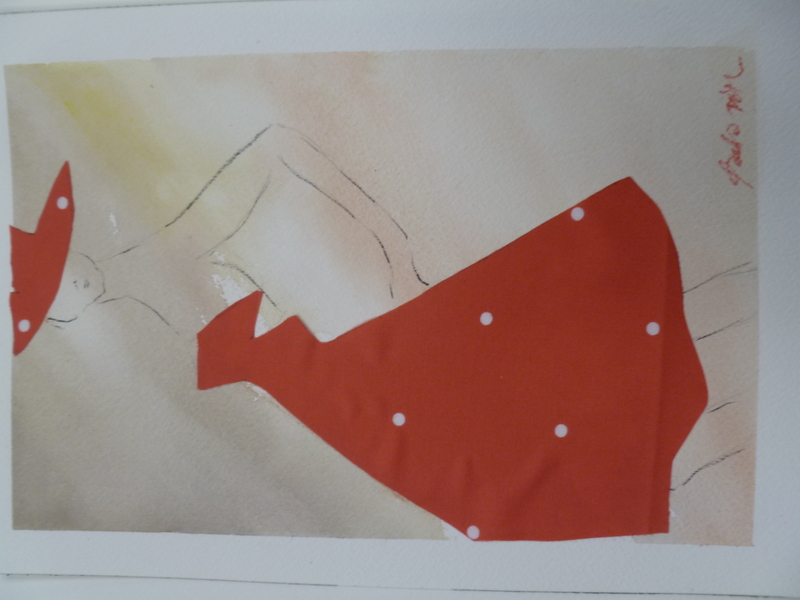 Check it out as I present a slice from my work including monoprints with Marimekko (my version of high fashion paper dolls), textile art and some of my fashion designs. Hope to see you there! 6:30-9:30 PM: Pecha Kucha Night, an open mic night for the art and design community. 12 presenters from architecture, visual art, fashion, photography, and other disciplines share their latest work. Sponsored by Paradise Beverages, Middle Sister Wines, and Pacific Digital Signs. 4-7 pm – Color Caping (drop-in) – find the perfect colors for your wardrobe! This entry was posted in Hawaii art, Hawaii Fashion, Paula Rath Art, Paula Rath's Art and tagged Hawaii Fashion Incubator, Hifi, Paula Rath. Bookmark the permalink.